There are no photos with those IDs or post 25480 does not have any attached images! 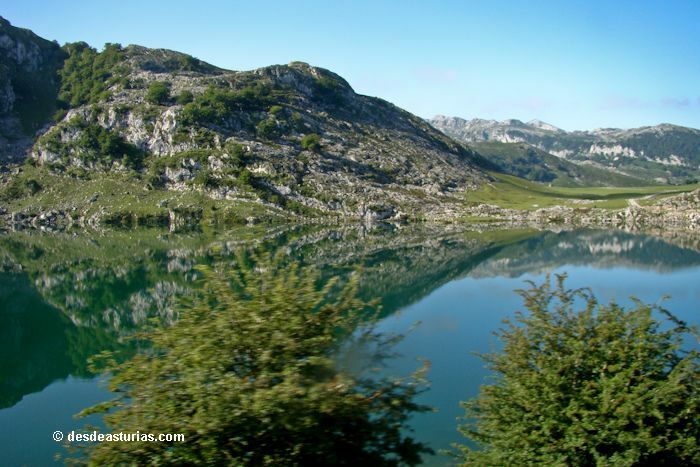 If we want to get closer to the Lakes of Covadonga, a space declared a Biosphere Reserve, access is free all year round, except for certain periods of regulation, in which a fleet of buses guarantees the movement of all visitors between Cangas de Onís, Covadonga and the lakes. The buses make stops in the main points of interest and in some catering establishments in the area. – Semana Santa: Between Saturday 24 of March and Sunday 8 of April, both inclusive. – First of May bridge: Between Saturday 28 of April and Tuesday 1 of May, both inclusive. – Summer: Between Friday 1 of June and Sunday 30 of September, both inclusive. * Day July 25 (Pastor's Party) and September 8 (Day of Asturias) there will be a special regulation. – Puente del Pilar: Between Friday 12 of October and Sunday 14 of October, both inclusive. – December bridge: Between Thursday 6 of December and Sunday 9 of December, both inclusive. During the days of operation of the system from the months of April to October, the road between Covadonga and the lakes will be closed to traffic between the 7: 30 and the 21: 00 hours. The first bus ride to the lakes will be at 8: 00 hours and the last one to the 19: 30 hours, while the last one to go down the lakes will be to the 20: 30 hours. Buses leave from the Cangas de Onís Bus Station, where there is parking, and three other points on the way to the Sanctuary of Covadonga. *** The climb is restricted, but the descent is free, those cars that have climbed before the closure of the road can go down whenever they want. · Parking of vehicles in the authorized parking spaces (valid all day): 2 € / car. · Adult bus ticket (valid all day): 9 €. · Bus ticket minor of 12 years (valid all day): 3,50 €. · Minus bus ticket of 3 years (valid all day): free. · Bus ticket Cangas de Onís-Covadonga (one way): 1,50 €. The restriction is for all motor vehicles: motorcycles, cohes and motorhomes. Bicycles have free climb. Punctuation: 4.2. of 6 votes.